A soldier has emerged as a key suspect in the killing of a police inspector in mob frenzy over cow slaughter in Uttar Pradesh’s Bulandshahr on Monday. Police sources say they are investigating whether Jeetu Fauji, an army jawan posted in Srinagar, could have fired the shot that killed Inspector Subodh Kumar Singh. A senior officer investigating the incident told NDTV it is too soon to say conclusively that Jeetu Fauji is the one who shot inspector Singh. Two police teams have been sent to Jammu and Kashmir to track down Jeetu Fauji, who is seen in various videos of the mob violence in Bulandshahr. His mother Ratan Kaur said she could not identify her son from videos of the mob attack. Other family members of Jeetu Fauji, however, confirm that he was present when the mob killing took place and left for Kargil after the incident. “He came from the spot and said, ‘see the drama’ and left for Kargil the same evening,” said Chandravati, Jeetu’s aunt. Four people have been arrested for the mob violence which erupted after cow carcasses were found scattered in a forest near a village. Inspector Subodh Kumar Singh and his team had gone to the village to tackle the violence when they came under attack. On video, a wild mob is seen chasing the policemen and shouting: “Maaro, take his gun!” Inspector Singh was assaulted with a sharp weapon and then shot in the head. In one of the mobile videos apparently taken by the rioters, the police officer is seen with a man looking like Jeetu Fauji around the time he was killed. Jeetu was in the village on the day of the violence and went back to Kashmir the same evening. Police sources say there are other videos in which the same man is present and part of the mob. 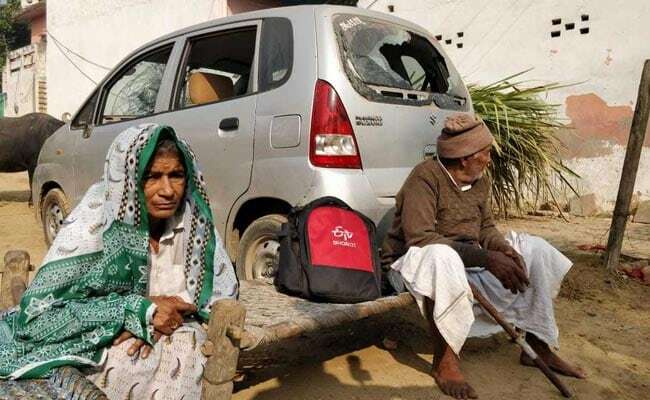 At Jeetu’s village, his mother told NDTV the police vandalised their home when they came looking for him on Wednesday. She claimed that her son was in Kargil. The mother said she did not believe her son had killed inspector Singh. “If he is the one who has killed the inspector then he deserves to be punished,” she said.